Synopsis, Our Opinion: A captivating tart, citrusy Chardonnay that was fresh and crisp from start to finish. 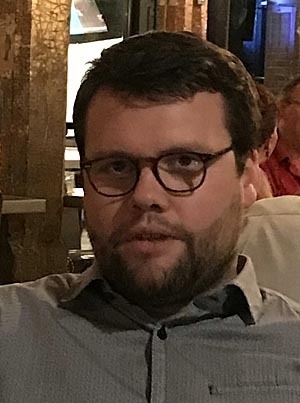 Producer/Winery: Valentin Montanet; Domaine Montanet-Thoden; Saine-Pere, France. 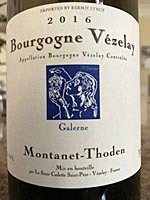 Geographic Appellation, Region, Country: Vézelay; Burgundy, France. Paired With: Grilled salmon, oven roasted potatoes and peas. Chilled before drinking. Dark golden color. Pronounced melon and yeasty citrus aromas. Smooth, intense and expressive, medium body (actually it has lots of body for a wine this light and crisp) and 400-grit texture. Abundant tart citrus, pear, apple and a touch of tropical fruit flavors. DOMINATING crisp acidity and a long mineral finish that ends with a ripe uncooked Keefer pear taste. Bone dry and delicious with the salmon that was marinated in lemon juice before cooking. The unique chalky limestone mineral married to the Chardonnay taste really gives this wine a distinct character and makes it special. A captivating tart, citrusy Chardonnay that was fresh and crisp from start to finish.